Self parking at the restaurant. 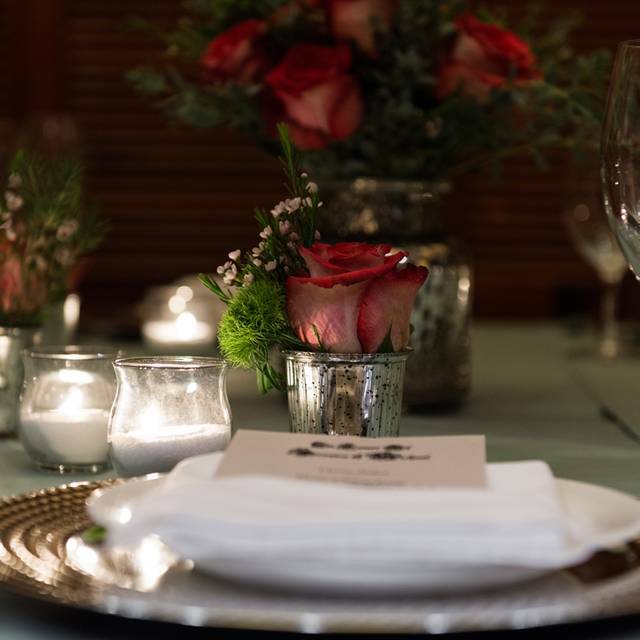 Off-Site Catering - You Set The Scene & we’ll Set The Table. 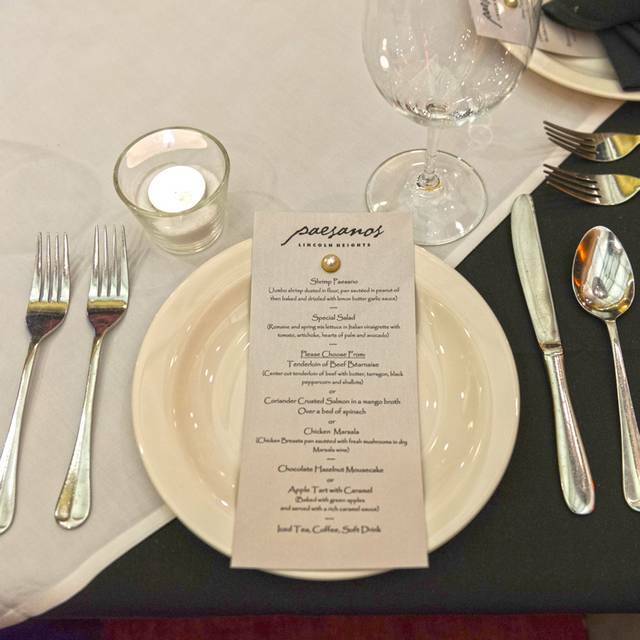 Make your next private function exceptional with Paesanos -Lincoln Heights’ off-site catering. 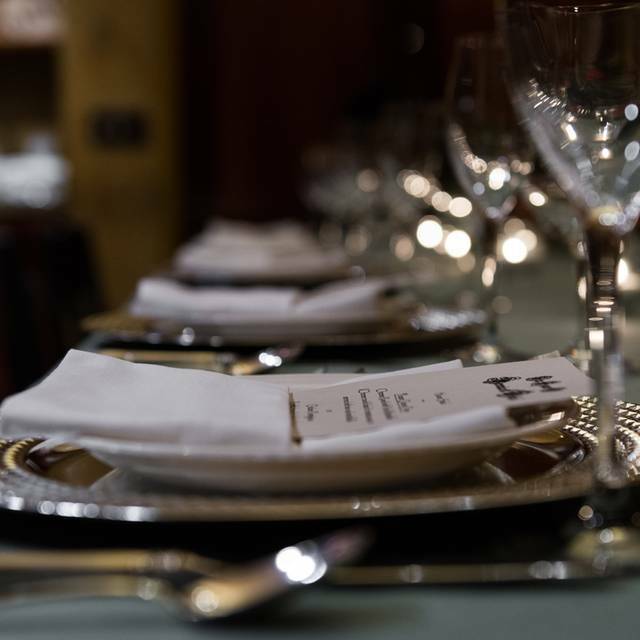 Our wait staff will look after your guests’ needs flawlessly at our restaurant or at any other location. We can also supply expert bartenders, & even your own chef if if you like. Don’t Leave your next Event to Chance-Leave It To Us! For occasions from 20 of your closest friends to 400 400 people sharing in your special day, call on us. tdilling@joesfood.com or (210) 828-5191. 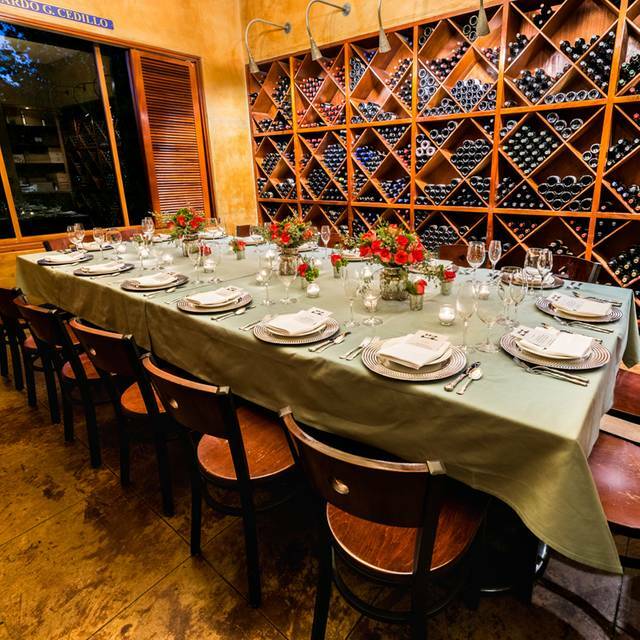 Our private dining rooms make every event one for the record books. 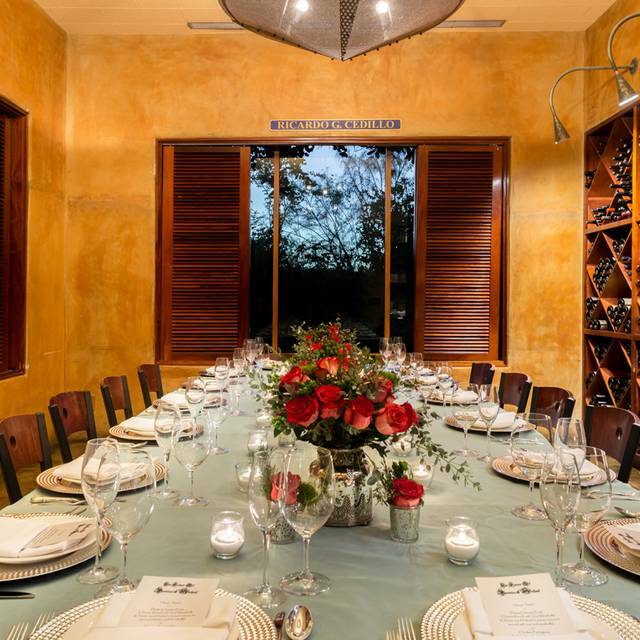 Our wine cellar, for parties of 35 or fewer, is one of San Antonio's most unique dining spaces. 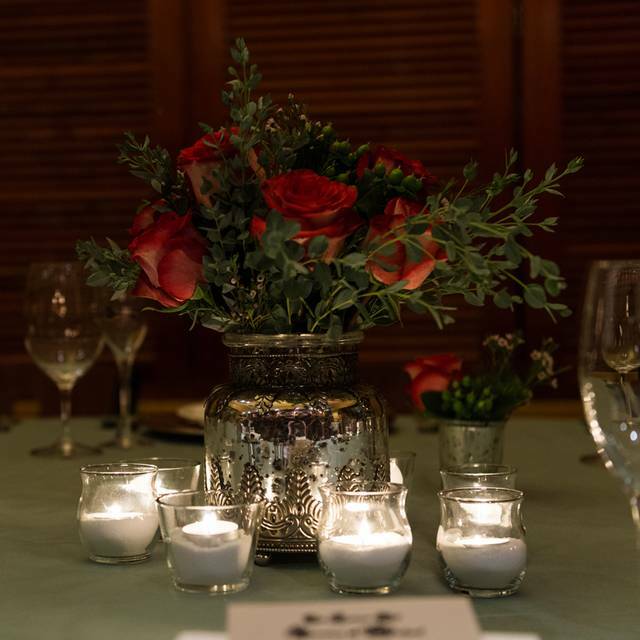 For larger functions, the solarium provides a warm, inviting setting for dinner parties and receptions. 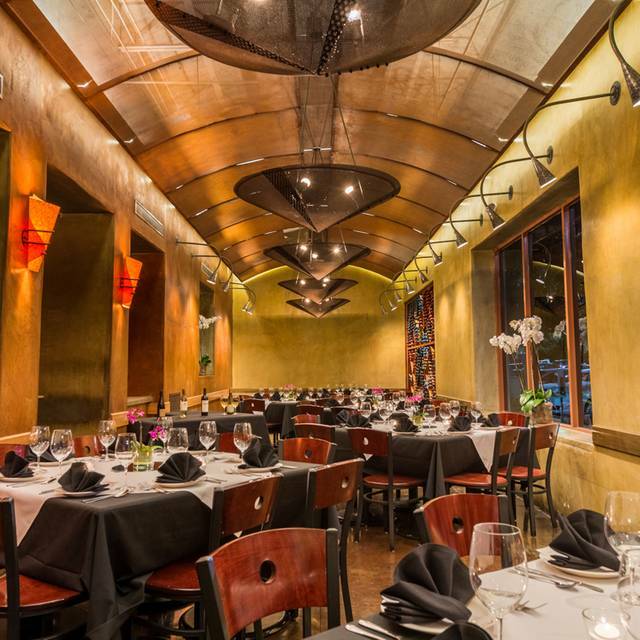 Paesanos is a landmark Italian restaurant bringing the best of the Mediterranean direct to San Antonio. 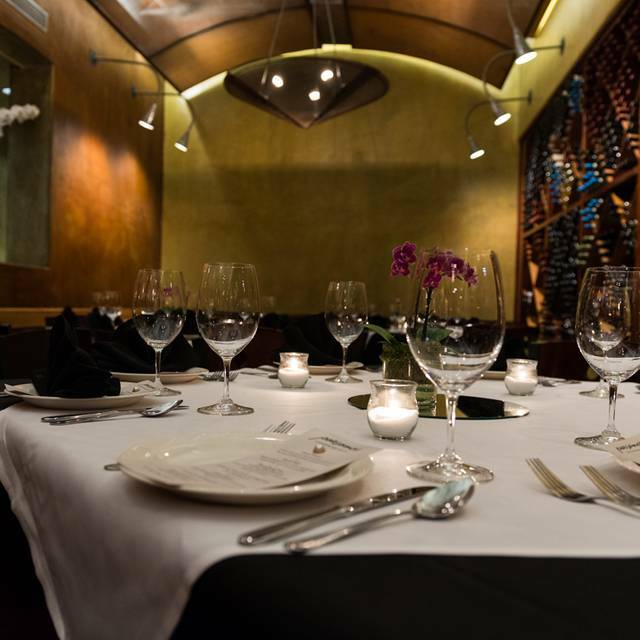 As a local fixture that has been offering irresistible Italian dishes and an extensive wine list since 1969, we are proud to be San Antonio’s choice for Italian dining. Whether you’re celebrating a special occasion or just looking to enjoy one of our specials with all the flavors of the old country amongst friends, come in and explore the Italian food that has made us famous for nearly half a century. Our signature dish, Shrimp Paesano, is almost as famous as the Alamo. Their menu hasn’t really changed in the years I have been going, but the flavors and I think the recipes have.. possibly to cut food cost. The food is still good, but it used to explode on the tongue, a mouth-gasm in every bite. Now, it’s just another Italian chain. We will make this our monthly ladies gathering spot. The food and the service was awesome!!!! Love the food and our favorite server Mary. Good location by the airport, business district; excellent service, food, value, reasonable pricing for food & wine. Only negative: too noisy in main dining room. Great wine list. But meals are underwelming. Everythomg was drenched in the same tomatto sauce (canned sauce). No efforts made on presentation. Pastas were overcooked and watery. Their food was quite good. The restaurant was very noisy, we moved to a small table in the bar where it was fairly quiet. Salina, our server, was terrific and kept tabs on us even though we moved out of her area. We really appreciated her service. Nice lunch but I wish they would offer a dark colored napkin for patrons who wear dark clothing. The white napkins left a lot of lint behind. I had the calamari, a salad, and the shrimp. Meal was excellent, although I couldn’t finish it all. And it was prom night, so there was an informal fashion show for entertainment. The service was great and the food delicious! We had friends from out of the country who had nothing but great things to say about the ambiance, wine selection, and of course the Shrimp Paesano! There were nine of us dining for lunch and everything was delicious. The service was fantastic and everyone was very pleased with their food. Even though there was a bad review in the Sunday newspaper before we went on Wednesday, we decided to stick with our original decision to eat there. We’re glad we stuck with our choice of Paesanos! Food was pretty good - somewhat bland. Portions were generous. The food was delicious and came out in a timely manner. Wonderful mid-day meal with my college-age nephew and his friends. We’ll be back. 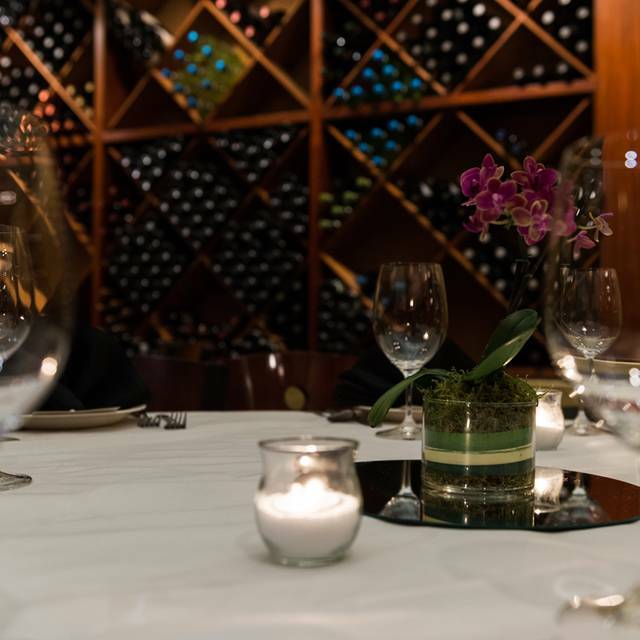 The go to place to celebrate in style, from the reservation desk to the wine steward through the wait staff, the service was impeccable. The food is excellent and consistent as I have been going for more than ten years. Highly recommend. The Shrimp Paesano is my favorite meal! The only downside is that the restaurant is always noisy, but that's a small price to pay for such delicious food! Very crowded on this Saturday night. It seems they have added extra tables to be able to accomodate the crowd. Noise level was higher. Food was good and service excellent. Our server was the best! He made us feel special. Great service & great food. The shrimp appetizer was sweet and sour, and totally worth it. Had the pork shank dish, and the meat melted off the bone. nice, but it was my wife’s Bday (it was on the reservation and i called) - i called and asked not to be seated in the traffic flow and gave examples eg., next to kitchen, front door, main waiter path, large group etc - we were there at 6:00 (lie occupancy) and they tried to seat us right next to the open kitchen (really) and then they never wished her a happy birthday or offered her a cupcake or anything for the occasion. very poor listening skills. Typically I’m more of a fan of Paeson’s, however this visit was disappointing. My wife ordered the Shrimp Paesono and she was in heaven... although confused by the shrimp and past being served separately. We also thought her special salad was a bit large and over-priced. My pizza was small, had zero flavor and looked like a personal pizza from Domino’s. Our server was also very flat and lacked any expertise, style or flair (it was a special occasion, but felt anything but). We’ll definitely give them another chance, but this was not a “best moment” from our perspective. We enjoy Paesano’s and dined here for my husband’s birthday. I always look forward to the bread because the nut and berry bread is outstanding and always makes me happy. Every person at the table enjoyed their meal. I ordered the Cappellini Primavera with Rock Shrimp in Olive Oil and Garlic. I appreciate the choice of sauce for my dish because it allows you to change your “go to” plate. Awesome ambiance, food, and service; Mary, our waitress, was awesome! Service was great because it’s like a fast food joint! Food mediocre at best - value represents the quality of the food. P.S. Go to Piatti’s for GOOD food. Seating for a party of seven was too tight. Picked a place to have lunch with friends from out of town and it turned out the perfect place, enjoyed by all. They couldn’t find our reservations but we waited awhile and they seated us! Made a reservation for 730. Didn't sit until 8 and when I asked the hostess about it she said well a reservation just puts you on the list to sit faster then someone who walks in off the street. Then why should I bother with a reservation? Everything else was great, but when you make a reservation and plan stuff out. The restaurant should have your table waiting for you. Will not go back because of this. We have gone to Paesanos for years. The Riverwalk was a disappointment as was the 1604 location. The Lincoln Heights has always been the best. Tonight however was extraordinary. The shrimp and snapper Paesanos was the best ever. The protein was perfectly cooked. The side of fettuccine was fantastic. We had several in our party come late and our server handled it very well. Our best meal in years. My son's birthday. Wouldn't have made reservations here if we knew it was going to be so busy and LOUD. Food was very good. Consistently good food, and usually good service. Love the eggplant parmigian as well as shrimp paesano, egg drop soup, special salad and many more excellent dishes. Great service, decent food. Good value. Awesome service! Awesome food !